IOCL INTERVIEW questions and Tips from Senior/IIT/PSU's interview questions - Sarkarinewjob.com A ultimate job portal to provide employment news. Hello guys, I am from Mechanical brançh and want to share my interview expereince of iocl so that u get an idea which type of questions they may ask you in future. My interview happened in 11pm Gurgaon. GD- Should death plenty be banned or not ? GT- You have to promote pradhan mantri Ujval yojna in remote areas of our country and for this list the problems you may face during this project and you will rectify them. 1. Tell me about yourself which is not written in these forms in front of me. 2.what is coefficient of restitution. 5. what is differential and what is its purpose.Do we have 2 differential in 4 wheel drive. 7.what is the efficiency of a thread? what is the efficiency of screw jack? 8 what is coupling and what it is used for and list some of its examples. 10. Let you are shift incharge at your shopfloor and some contrator worker slapped on permanent worker and due to this all the permanent workers went outside the factory and dont want to work.What you will do in this situation. By reading all this you might think that I told them automobile or physics is my intrest but trust me neighter I had written in my CV nor i told them regarding this.I dont know why they so much focussed about automobile.Actually They have a set of questions written on a page and they will ask you from those papers only unless you have some work expereince. So prepare ur mind as they can ask you anything,even out of ur domain. Anyways best of luck ! 2. Should 0% Interest loans be provided to Farmers in today's times of farmer unrest. 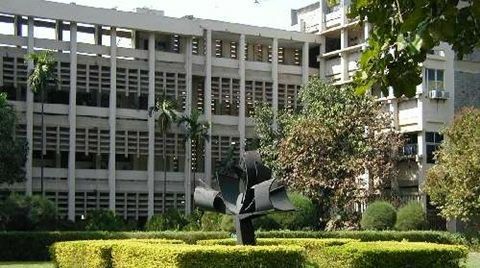 GT - Only two IITs have made it to the Top 200 rankings of World's Best Institutes. As directors of various IITs, find a solution to make sure that not just two but many more IITs could crack the Top 100 rankings. The GD/GT Panel seemed uninterested, hardly even looking at which candidate is even speaking at GD. Payed a little more attention during GT to notice if we were interacting or not. 7. Is Indian automobile market ready for them? 8. Crankshaft Material and manufacturing and why exactly? 13. Do you know how many refineries we have? 14. What is our petrochemical brand name and it's products? The panel was very senior and yet very very humble and friendly, They listened to each and every answer with atmost attention, let me answer with however much time I needed and put counter questions only after I had finished my part. After answering over dozen of questions over half an hour, the most senior of them, asked if anyone wants to ask any more (in a comic way) and we all laughed. • Related to project -What is magnitude of inrush current, How will u measure it. • tell something about shree cements, how do they generate power, capacity, etc. (Summer training) , what are the materias used for cement formation. GD topic - How online courses have made classroom teaching irrelevant. GT topic - If u people are setting up 'Dabba wala' system in Delhi NCR, like in Mumbai, state the problems and how would you overcome. GD- Is Marks system of evaluation a good criteria of judging students ? GT- kota is going to be the factory of competition. Some of them sets their lives but some of them commiting suicide. What should be the steps to stop these hazards as you are sent there as a team ? 3. From Where did you comlete your graduation ? 4. Why 2 years of gap ? 5. What was your gate status previous year ? 6. What's your current gate rank ? 7. What's your next interview ? 8. What's the date of interview ? 9. Where did you comlete your training ? 10. Do you remember What you did during your training ? 11. What's your strength ? 12. What's your weakness ? 13. What will you do to better up your weakness ? 14. What's your strong subjects ? 15. How will you calculate the losses in a transformer ? 16. What is open circuit test ? 17. What is short circuit test ? 18. Whether rated voltage or less or More during SC test ? If rated then What will be the impact on current value ? 19. Where will you put instrument on 1:1 transformer in short circuit test ? All the best for your next interview. I would like to share my IOCL Interview Experience. My GATE rank is 650. I am from mechanical background. Interview was in mumbai on 1st June. Are ready to leave your hometown? Did you do any coaching? Tell us something u havent written on your cv? Will you be willing to work in any location? They asked me Question on industrial training only, not from project. Technical questions from material science: stainless steel, iron carbon diagram. Panel was of 5 members. GD: Discipline and National character differentiates us from first world coountries. GT: How to make higher education in India more inclusive.